Bright Health Training provides the latest in quality, affordable, online CPE and CEU courses for trained Remedial Massage Therapists. We deliver 100% online CPE courses focused on progressing your professional development and satisfying your CPE needs. Learn whenever and wherever you want with our CPE courses for practitioners of Remedial Massage, Myotherapy and Musculoskeletal Therapy. Continuing professional education for Remedial Massage Therapists has never been easier! If you’re keen to up-skill and gain CPE credit while you learn, take a look at our courses and sign up today. Our courses represent exceptional value for money. With Bright Health Training, you can gain your CPE credit for a fraction of the cost of “live” workshops. 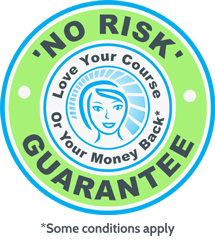 And our money back ‘No Risk Guarantee’ has you covered. Press play on your professional development today. Here are some testimonials from massage professionals who have completed Bright Health Training courses.